When dogs get older, or have an accident, it occasionally becomes necessary to get outside help to keep them mobile. 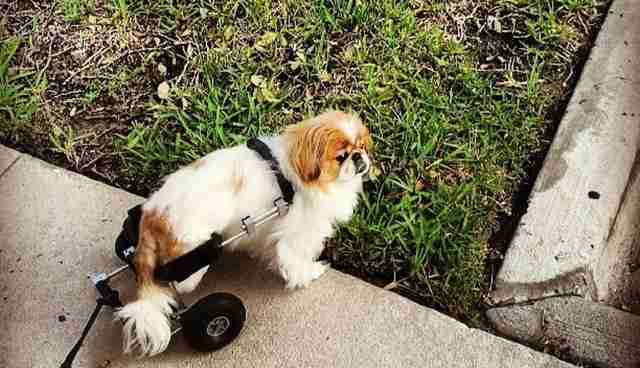 Dog wheelchairs have become essential for those pups who have disabilities due to hip dysplasia, spinal injuries, paralysis, or neurological problems that affect their limbs. 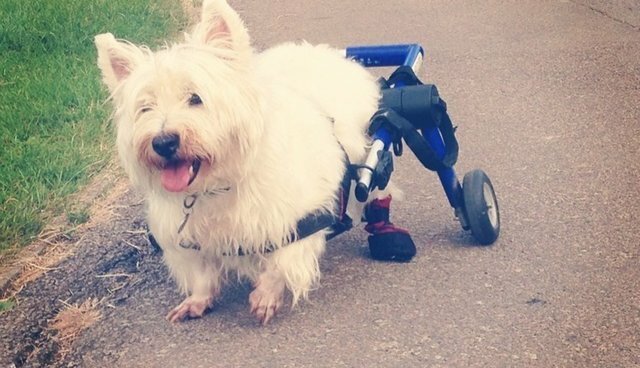 Doggy wheelchairs have resulted in much healthier and happier dogs, who know that having a disability doesn't keep them from having fun or living a full life. 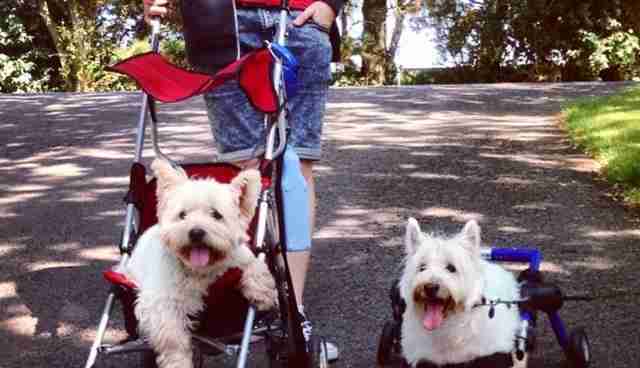 Alfie (below right) uses his wheels to take a lovely afternoon walk while his brother Maxy (below left) prefers having a stroller to having a stroll! 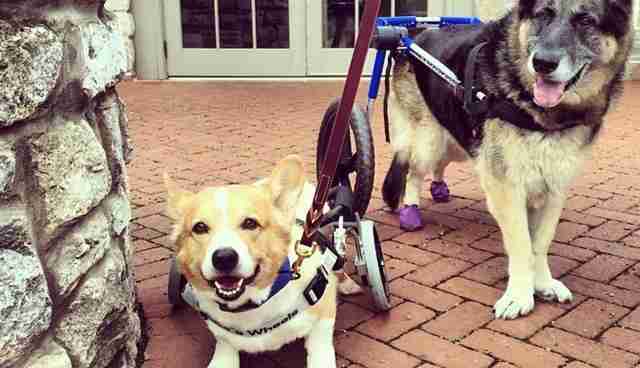 Some dogs use their wheels to help them recover from an injury, like German Shepherd Scully and Corgi Teddy, who are in rehab at the Animalia Veterinary Hospital. Little Teddy knows that just because he has wheels doesn't mean he can't roughhouse with the other pups at the dog park. 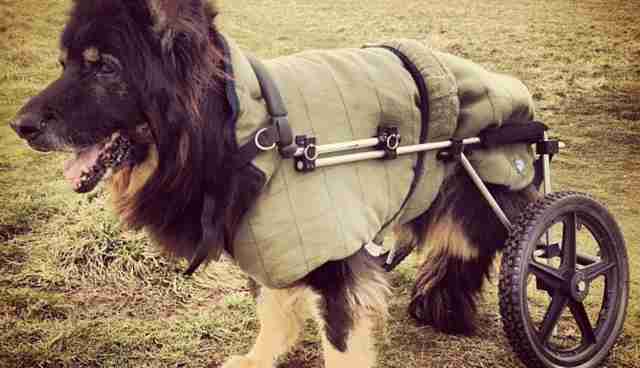 Kyra the German Shepherd use her wheel and cozy blankie to play hard at the park. 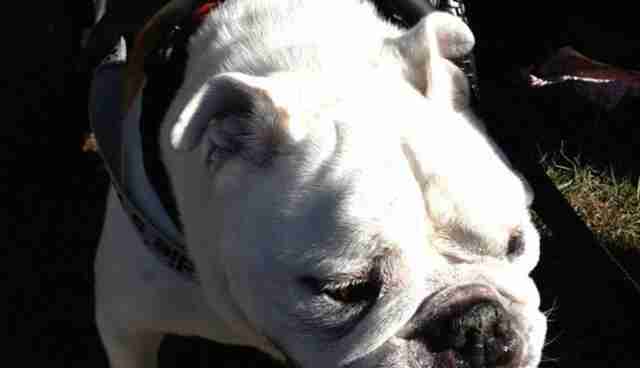 Dexter the English bulldog uses his wheels to share his charming grin with everyone! 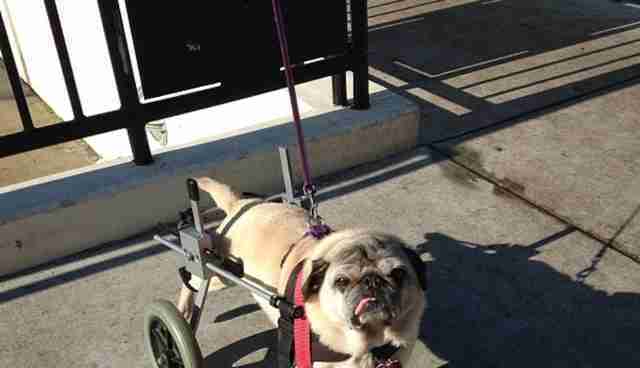 This pug stands confidently and ready for action, thanks to his wheelchair. Izzy the Westie has her ears perked up because she's ready to explore all by herself! 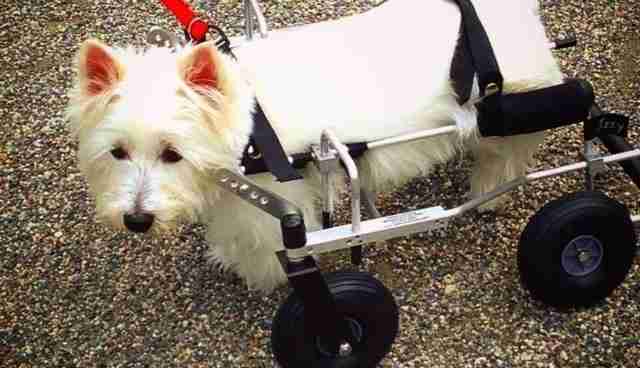 And remember, If your dog has arthritis or is showing signs of hip dysplasia, take them to a vet to see if a doggy wheelchair will make them more comfortable and independent!